Demand for second, third or forth home purchases remains healthy even in this tight Seller market. With home buyers enjoying an advantage in many markets, now may be the time to buy that second home. First-time home buyers tend to get a lot of attention and hand-holding by Realtors, mostly because the whole process in unchartered territory to them. It’s often assumed that second- or third-time home buyers don’t need as much guidance since they’ve been through it all before. But second-time home buyers face their own unique challenges that should not be ignored. Whether you’re buying your first home, second home or fifth home, the first step is always the same: pre-qualification. A lot has changed in the three, five, or seven years since you purchased your first home. Jobs have changed, debt has increased or decreased, credit ratings have risen or dropped. So it’s a good idea to get a fresh picture of your financial situation, including what interest rates you qualify for, what mortgage options are available to you, and how much home you can truly afford. As a first-time house hunter, you have a fairly superficial wish list that mostly includes “wants”: three bedrooms, brick ranch and is move-in ready. But second-time buyers, know a lot more about homeownership, the mistakes they made the first-time around, and what they are (or are not) willing to live with. So your wish list now includes both “wants” and “needs,” like a desirable school district, avoiding repairs you know (first-hand) are more costly, or how heating or cooling systems will affect your utility bills. You’ll developed a more specific vision of what your new home should look like, and that may make it harder to find. This is probably the biggest challenge for a second-time-around home buyer. No one wants to find themselves in the position of carrying two mortgages. Your best course of action may be to sell your current home before making a move on a new home. Even if this puts you into the position of you of making short-term living arrangements in between closing on your first home and buying your second home. Selling your current home first has plenty of advantages. A seller, you’re not forced to take a less-than-ideal offer just so you can unload the additional mortgage payments. As a buyer, you can avoid the “contingent on buyers’ selling their home” clause on your offer. As a first-time homebuyer, the ideal situation is to walk into closing with your down payment check in-hand or maybe you had a FHA loan or gift money. For second-time home buyers, your down payment and closing costs will most likely come from the profits gained on the sale of your first home. This is another benefit of selling your current home before closing on your new home. If you are unable to sell your current home or if you sell your current home at a loss, you’ll need to figure out a way to raise the 20% down payment or take on the costs of PMI mortgage insurance. As a Seller you are now a Sellers market and will you will get top dollar for your existing home. As a Buyer, you will also pay top dollar for your second home. So make sure you have an experienced savvy Realtor that can negotiate these waters with you. 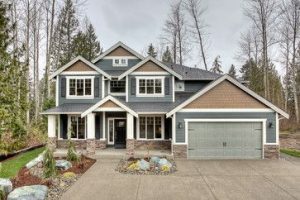 A few other tips: Mondays and Fridays are the best days to close on your new home, and April is the absolute worst month to buy a new home (to much competition), but the best month to sell a home. So whether you’re a first-time or second-time home buyer, there’s still plenty of time to make your move this month!